The Fandango Movies app has been updated with a new full screen look for iOS 7. 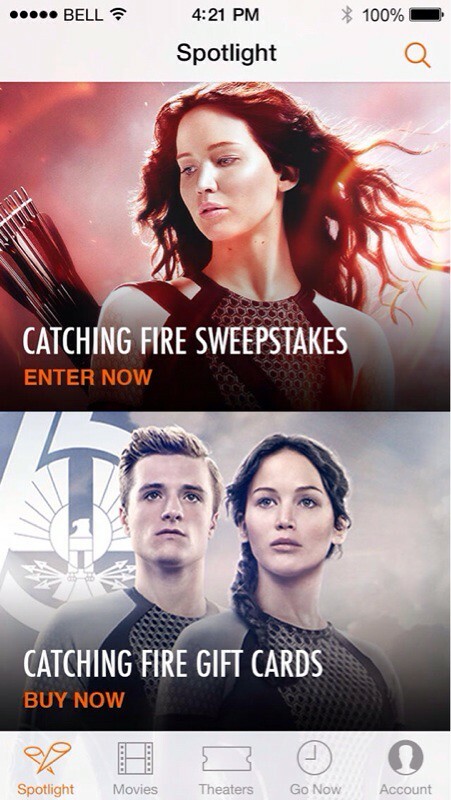 Get the latest movies, showtimes & exclusive Fandango content at your fingertips. 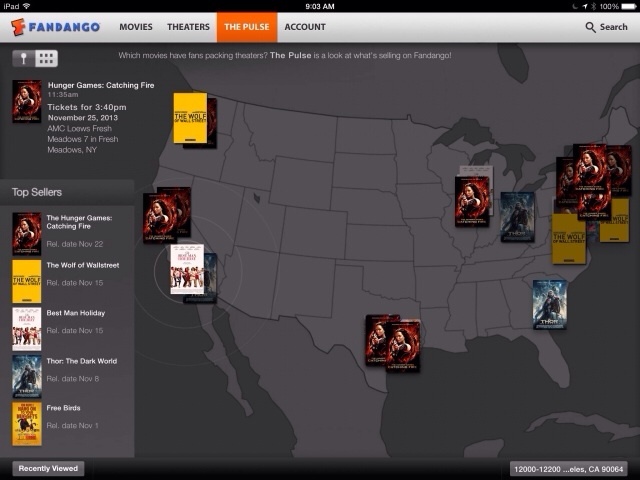 Download Fandango - the #1 movie ticketing app featured in Apple commercials and winner of three Webby Awards! 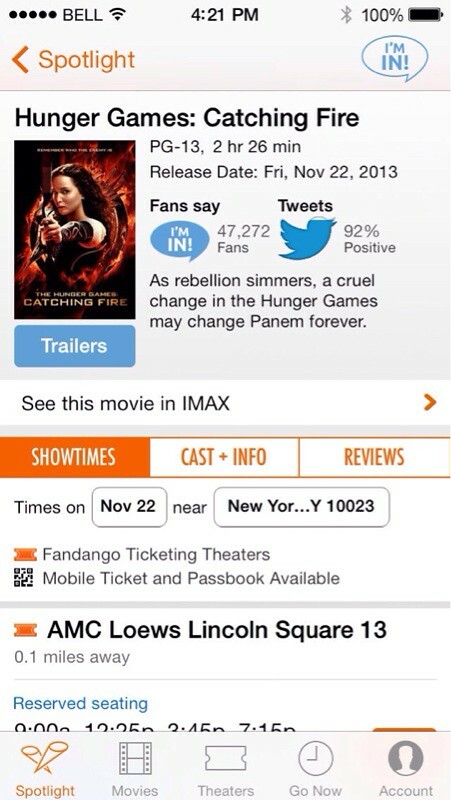 • Buy tickets within the app for 21,000+ screens – more than any other app including AMC Theaters! • Heading to the movies now? 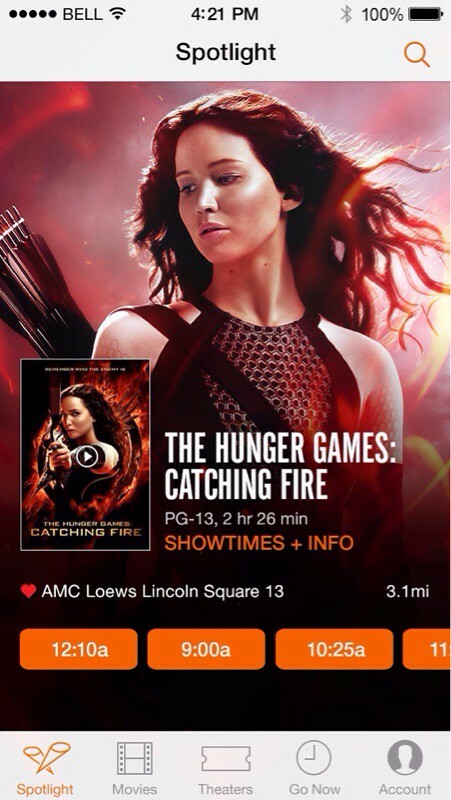 Simply tap on Go Now, find a movie at your local theater & purchase your tickets and enjoy! To make your Fandango experience even more exciting, check out the latest updates we’ve tweaked just for you! • And by popular demand – we brought back Go Now! Heading to the movies now? Simply tap on Go Now, find a movie at your local theater & purchase your tickets and enjoy! You can download Fandango Movies from the App Store for free.